“We’re going to cause massive disruption to your lives, building this pipeline. 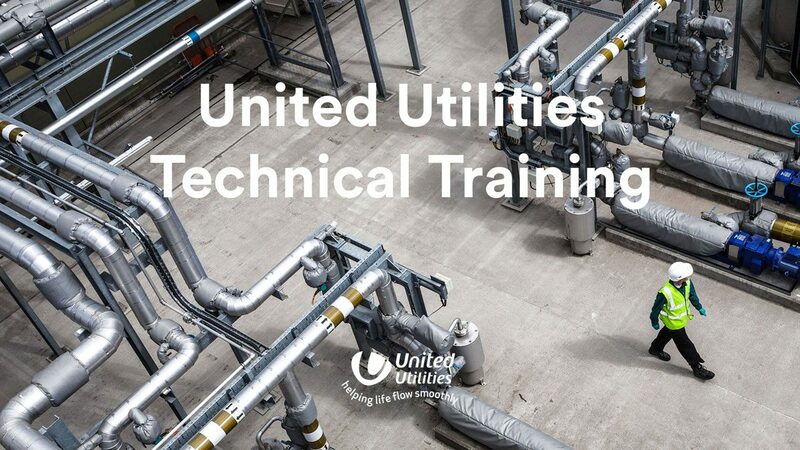 The Ducks were asked to develop an interactive visitor centre in Keswick to explain the United Utilities programme to link West Cumbria via a major new pipeline from Thirlmere Waters. This PR Centre will outline the benefits and explain the impacts that the seven year project will have on the community and the environment. 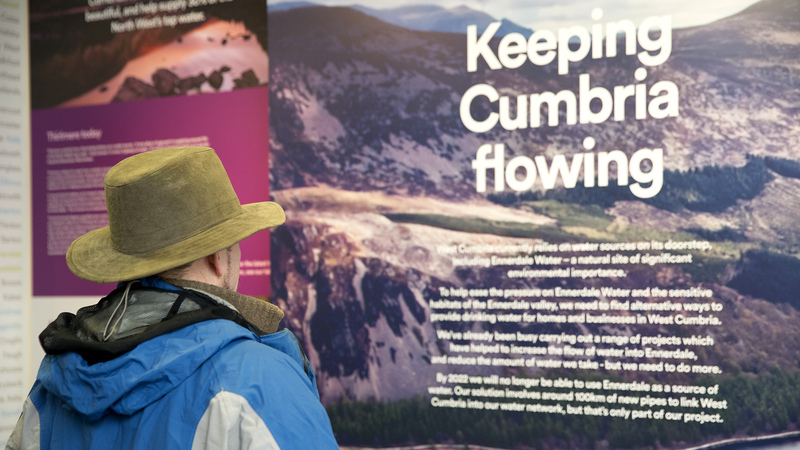 The pipe stretches for 27km across the Lake District, providing a sustainable water source for many years to come. 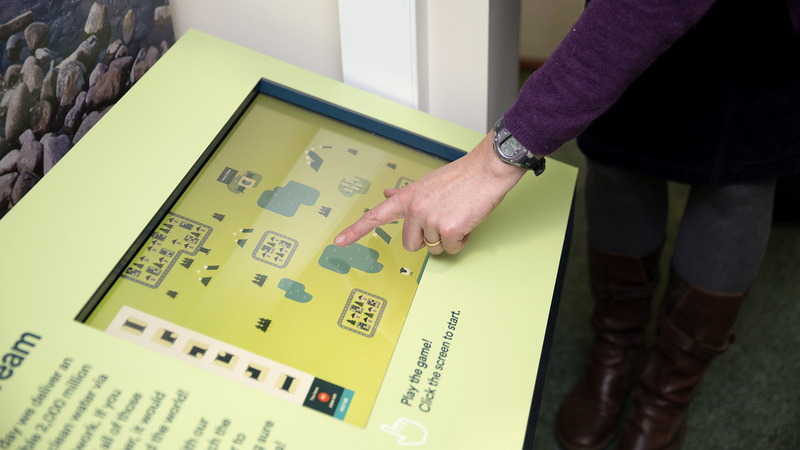 The visitor centre, formerly a shop located on the busy High Street in Keswick, was fitted out with graphic panels and AV to provide a point of information for local residents. Our audience would be of all ages, some interested in the technical achievements of the projects, others concerned about it’s environmental impact. 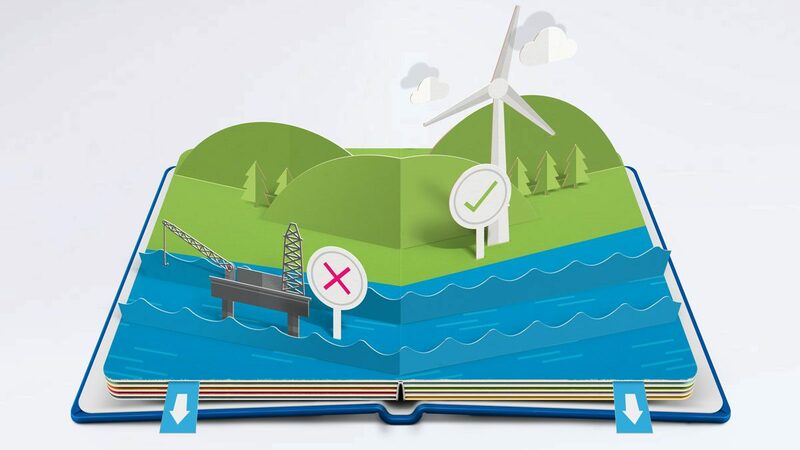 To help people understand the challenges faced when building such a colossal pipeline, we developed a touchscreen puzzle game, where sections of pipe must be linked up to build a linked up network, without disturbing natural habitats, towns and villages and mountainous regions. 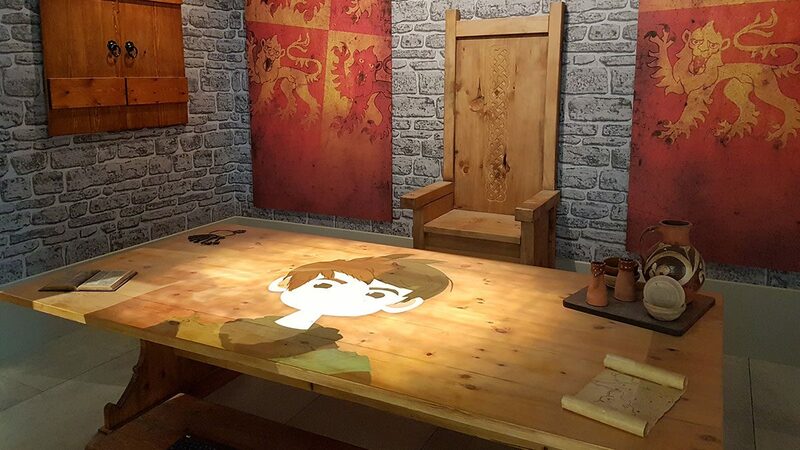 And for smaller children, we built a table top board game, that highlighted ways to save water in the home. 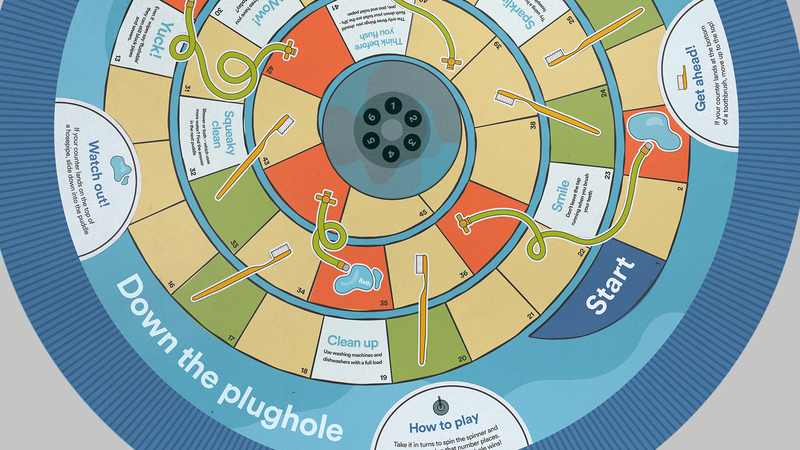 With mini toilet-plunger counters, the game was as educational as it was fun! 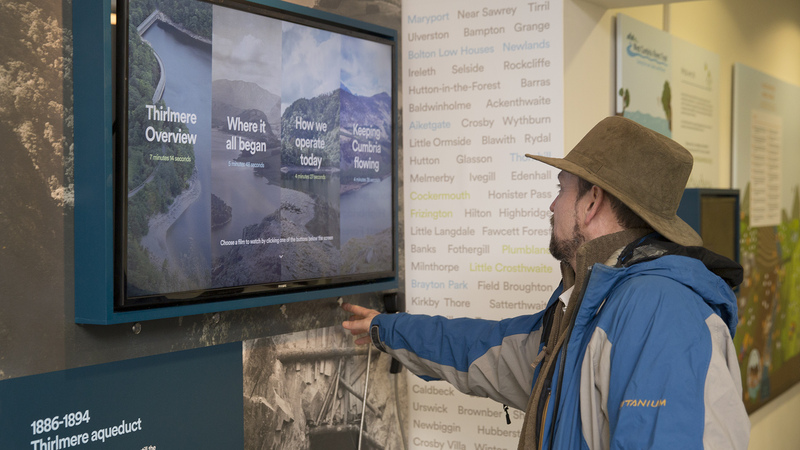 United Utilities have always had a special affinity with the Lake District, and the visitor centre also provided an opportunity to document the history of this relationship – most notably the building of the Thirlmere Aqueduct, supplying Manchester with water for the last 100 years, and many more years to come. Our short documentary films tell this story – a mammoth 96 mile aqueduct built between 1890 and 1925 to serve the growing demand for water in post-industrial revolution Manchester. Our films also focused on the United Utilities’ investment in Thirlmere and the surrounding area today – working with partners to preserve the area’s natural environment and delicate ecosystems.